As a small business owner, you know customer retention is a big deal. It costs way less time (and energy) to retain a customer than to attract a new on—not to mention what it takes to win back lost customers. This makes customer retention central to your success and bottom line. According to a 2017 survey, price and value influence loyalty the most. In fact, 92 percent of loyal customers rank price as the most influential factor. Since people want to save money and be rewarded for their purchases, small business mobile loyalty programs can be a powerful differentiator. A mobile loyalty program replaces the traditional—and perpetually lost—paper punch card. Since it’s an app on a phone, it’s more convenient for customers and business owners alike. Starbucks is a great example of a successful mobile loyalty program. In 2016, Starbucks had $1.2 billion in customer funds loaded onto plastic and mobile Starbucks cards as part of their loyalty program. Their program works because it puts the customer first. Customers can mobile order-ahead and receive free refills and birthday drinks in exchange for their loyalty. So, what does a mobile loyalty program look like for a small business? The actual rewards differ depending on the business. You may offer discounts, member-only offers, or points in exchange for free items. In other situations, you may offer convenience rewards like shortcuts in lines or priority scheduling. Rewards are based on the product or service you provide. 1. Mobile-friendly. Whether a customer is visiting your website or using your loyalty program, the platform needs to be mobile-friendly. 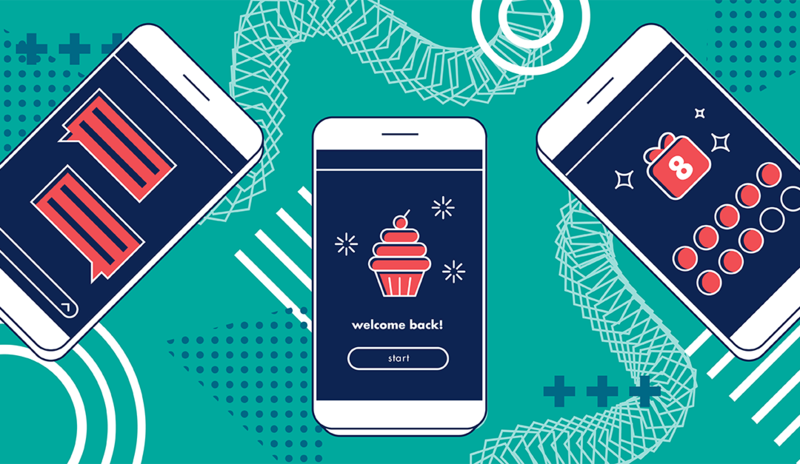 Some mobile loyalty apps like flok let you create a custom icon on your customers’ phone home screen—it’s like having your own app. 2. Digital punch card. Punch cards are a proven way to increase customer loyalty and revenue. Make sure your mobile loyalty program lets you create a custom punch card. You should be able to specify the quantity of punches required and the associated reward. 3. Social engagement. Ensure that the mobile loyalty platform connects to your social accounts like Facebook and Twitter. This is a great way to double-up and drive activity to your social sites. 4. Customer engagement. The best mobile loyalty programs allow you to easily engage your customers with SMS messaging and email. Your customers will appreciate being told about your events and specials. Just make certain not to overshare. Customer loyalty programs can help your small business stand out. Take time to consider what your mobile loyalty program should look like. When comparing options, make sure the platform is mobile-friendly, offers a digital punch card feature, connects to your social media accounts and allows you to easily communicate with your program members.